Identifying promising targets for anti-melanoma immunotherapeutics requires answering several complex biological questions, such as which proteins are exposed on melanoma cells, how do melanoma cells suppress the patient’s immune system and which factors can re-activate the anti-tumor immune response? Using Elsevier’s Pathway Studio, researchers can find answers to these complex biological questions rapidly—often in less than 20 minutes. Melanoma is the deadliest form of skin cancer, and traditional chemotherapies have shown limited efficacy in treating the disease. Current drug development efforts are focused on anti-melanoma immunotherapeutics, but identifying promising targets requires addressing many complex biological questions. Being able to access and effectively search the information sources needed to answer those questions, as well as being able to analyze and visualize molecular interactions in context, is critically important. Elsevier’s Pathway Studio and its new data resource CellEffect enables scientists to explore molecular interactions and cause-and-effect relationships, by integrating a vast knowledge base of biological relationships with analytical and visualization tools. This biological context lets scientists better understand and interpret experimental observations and literature evidence involving development, disease progression and drug responsiveness. 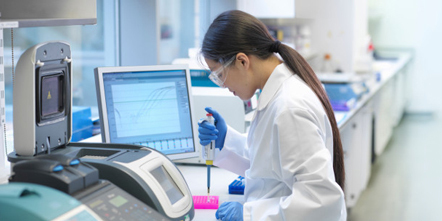 The expertly curated pathway collection makes it possible for researchers to use network and pathways analysis to model the impacts of differential gene or protein expression and protein-protein interactions on disease, and streamlines the process of drug target discovery. Pathway Studio’s content, which is updated weekly, is comprehensive, covering over 10,000 journals, 25+ million PubMed abstracts and more than 164,000 clinical trials from which molecular interactions, cell processes and disease-related dataare extracted. "CellEffect is a new data resource created for Pathway Studio that helps scientists explore complex molecular interactions within and between cells under normal conditions, so they can understand how these interactions change in disease states." Using Pathway Studio with the CellEffect database, a scientist looking to answer the question ‘How do melanoma cells suppress the local immune response?’ can easily connect the results of a few simple queries, completing the workflow in less than 20 minutes—saving countless hours and ensuring completeness that would be nearly impossible to achieve with manual methods. 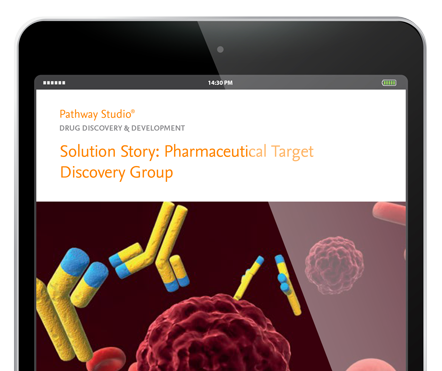 Pathway Studio makes it possible for researchers to easily understand important biological details, providing a comprehensive data-driven drug target selection process increasing the chance of developing a successful drug. 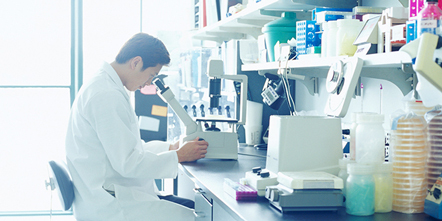 "Using Pathway Studio and CellEffect to assess how melanoma cells suppress local immune response can be accomplished by connecting the results of a few simple queries." Ready to get started with Pathway Studio?